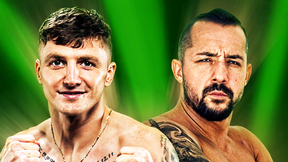 Volume 1 of the Best of ADCC. 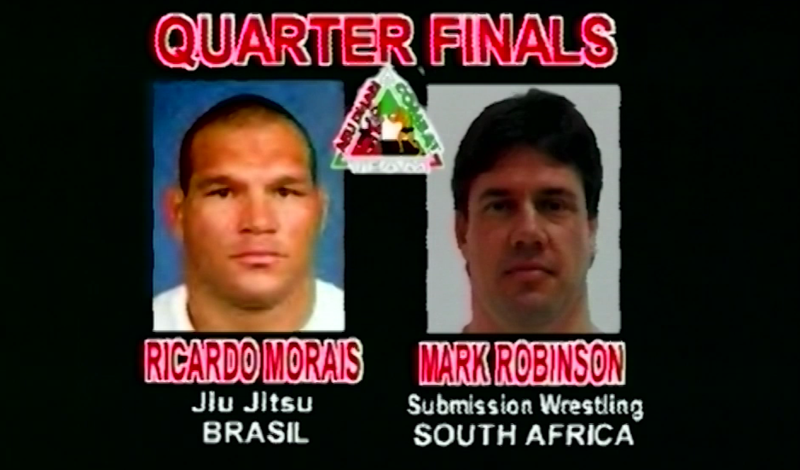 Ricardo Morais vs Mark Robinson Best Of ADCC Volume 1 Mar 3, 2000 (14:20) Ricardo Morais vs Mark Robinson at Best Of ADCC Volume 1 from March 3, 2000 in Abu Dhabi, United Arab Emirates, a classic match from ADCC history. 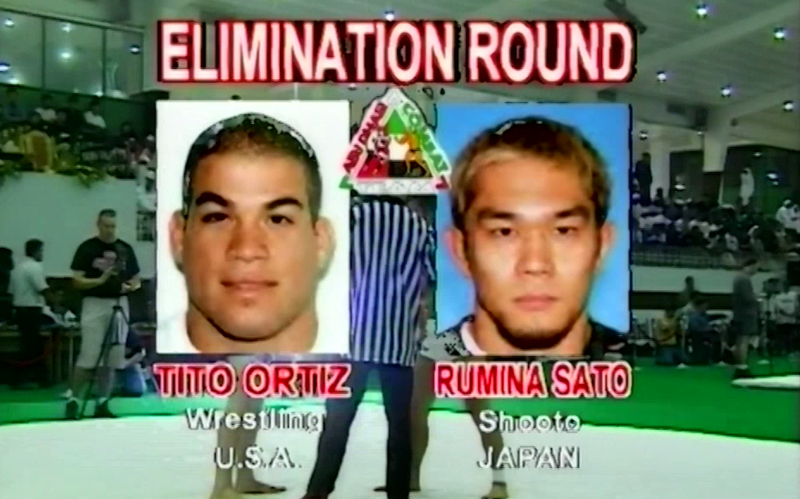 Tito Ortiz vs Rumina Sato Best Of ADCC Volume 1 Mar 3, 2000 (9:49) Tito Ortiz vs Rumina Sato at Best Of ADCC Volume 1 from March 3, 2000 in Abu Dhabi, United Arab Emirates, a classic match from ADCC history. 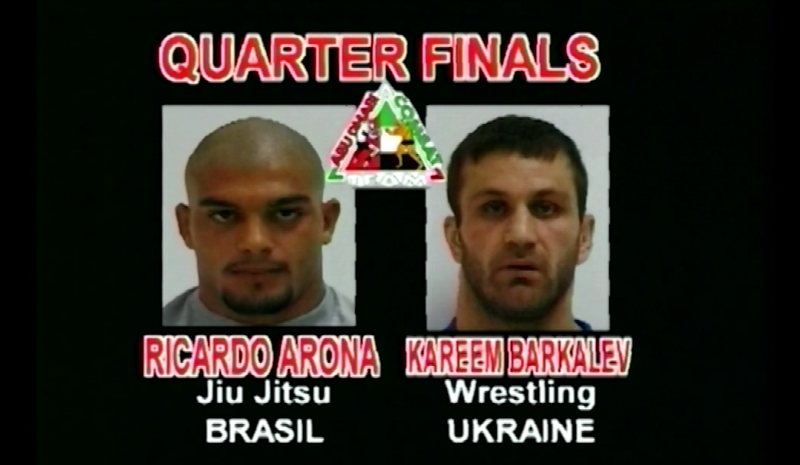 Ricardo Arona vs Kareem Barklaev Best Of ADCC Volume 1 Mar 3, 2000 (16:08) Ricardo Arona vs Kareem Barklaev at Best Of ADCC Volume 1 from March 3, 2000 in Abu Dhabi, United Arab Emirates, a classic match from ADCC history. 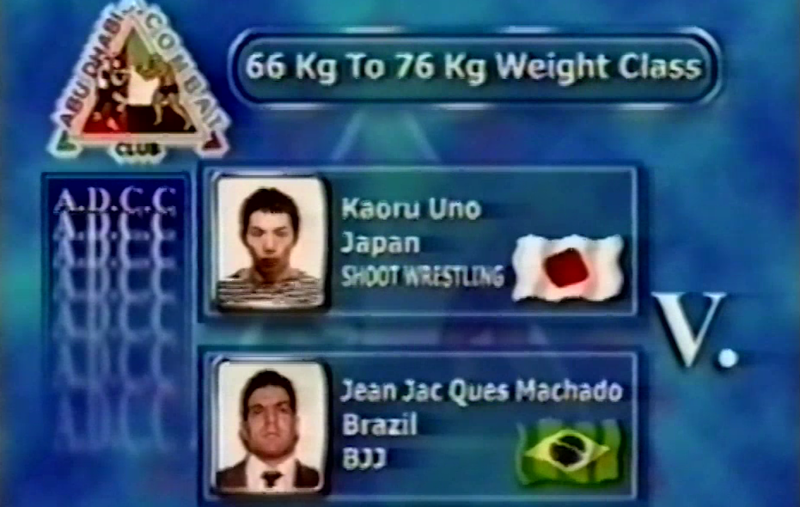 Jean-Jaques vs Machado Caol Uno Best Of ADCC Volume 1 Feb 26, 1999 (5:41) Jean-Jaques vs Machado Caol Uno at Best Of ADCC Volume 1 from February 26, 1999 in Abu Dhabi, United Arab Emirates, a classic match from ADCC history. 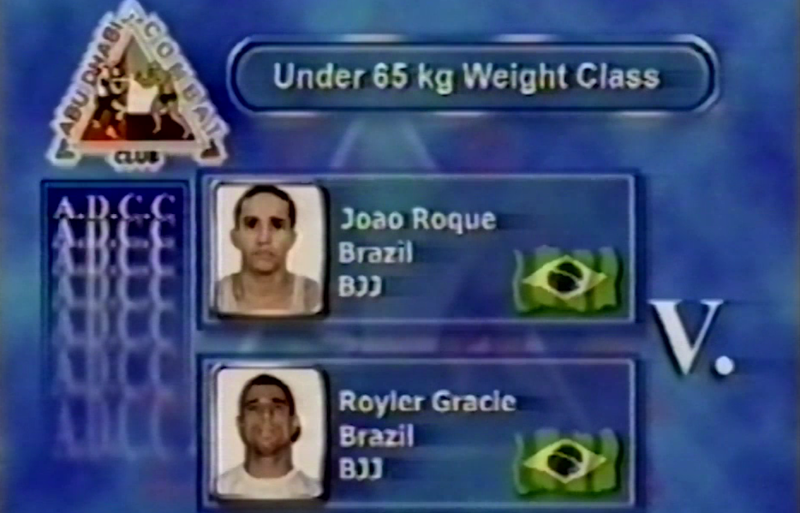 Royler Gracie vs Joao Roque Best Of ADCC Volume 1 Feb 26, 1999 (10:52) Royler Gracie vs Joao Roque at Best Of ADCC Volume 1 from from February 26, 1999 in Abu Dhabi, United Arab Emirates, a classic match from ADCC history. 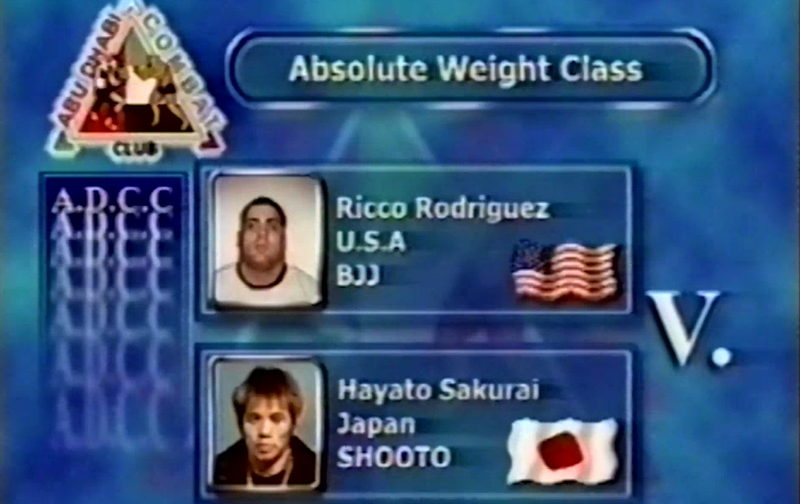 Hayato Sakurai vs Ricco Rodriguez Best Of ADCC Volume 1 Feb 26, 1999 (10:38) Hayato Sakurai vs Ricco Rodriguez at Best Of ADCC Volume 1 from February 26, 1999 in Abu Dhabi, United Arab Emirates, a classic match from ADCC history. 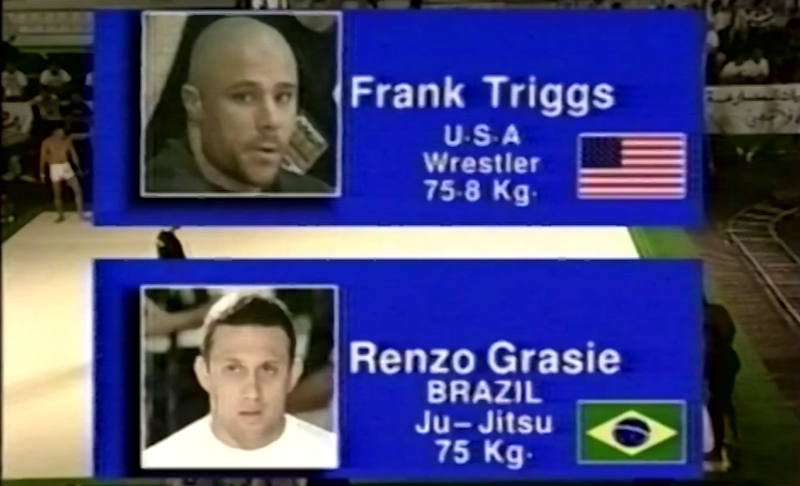 Renzo Gracie vs Frank Trigg Best Of ADCC Volume 1 Mar 20, 1998 (10:53) Renzo Gracie vs Frank Trigg at Best Of ADCC Volume 1 from March 20, 1998 in Abu Dhabi, United Arab Emirates, a classic match from ADCC history.